Longer lifespans and the disappearance of traditional pensions means it’s largely up to you to build a nest egg that’ll help provide for your family for 20 or more years in retirement. 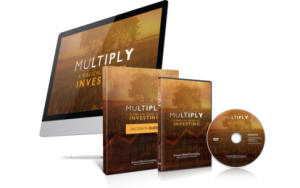 That may sound intimidating, but this Multiply study will help you meet the challenge. With video-based instruction, group discussion, and individual activities, you’ll learn how to take a portion of your income and grow it to help provide for your family’s future financial needs. If you complete all of the steps in this study, you will end up with a written investment plan tailored to your unique circumstances and goals, and informed by your faith. And you’ll be equipped to implement that plan with a trustworthy investment process. Compass has partnered with Sound Mind Investing to give you a 15% discount on any of the Instant Digital Download materials. Simply enter the code COMP15 at checkout to receive this exclusive discount. Note: Look for the “Have a Coupon?” link in the checkout form. This Video is designed to be used along with the Multiply Discussion Guide. This Digital Video/Discussion Guide Bundle gives you everything you need. Here’s a preview of what you will learn from each session in the Multiply Study. Who Needs the Stock Market? Stock market investing is one of the best ways to build the wealth you’ll need to provide for your family long term. This session teaches you three keys to make the most of the opportunity. The market’s long-term returns have been impressive, but there are dangers to navigate along the way. This session shows you how to manage four of the biggest investment risks. IRA, 401(k), Roth—you’ve heard of these tools, but do you know how to utilize them for maximum advantage? This session walks you through two decisions to invest in the most tax-advantaged way. This session shows you how to develop an investment plan tailored to your unique situation and goals, while also teaching you a trustworthy process for choosing specific investments.